On September 15, in the framework of "Clean up the World" campaign was carried out clean up action in Khobi municipality ,organized by the local coordinator of the Greens Movement of Georgia / Friends of the Earth – Georgia, with support of Khobi Gamgeoba, which was attended by Gamgeoba representatives and local residents. During the action were cleaned up squares and stadium, Khoni Monastery and Trinity Church areas, the centers of the villages. About 5ha area has been cleaned up and around 3m3 of waste was collected. Event has been attended by 300 volunteers. On September 17, in the framework of "Clean up the World" campaign was carried out a clean up action in Kutaisi ,organized by the local coordinator of the Greens Movement of Georgia / Friends of the Earth – Georgia. During the action were cleaned up neighborhoods of Mukhrani area. 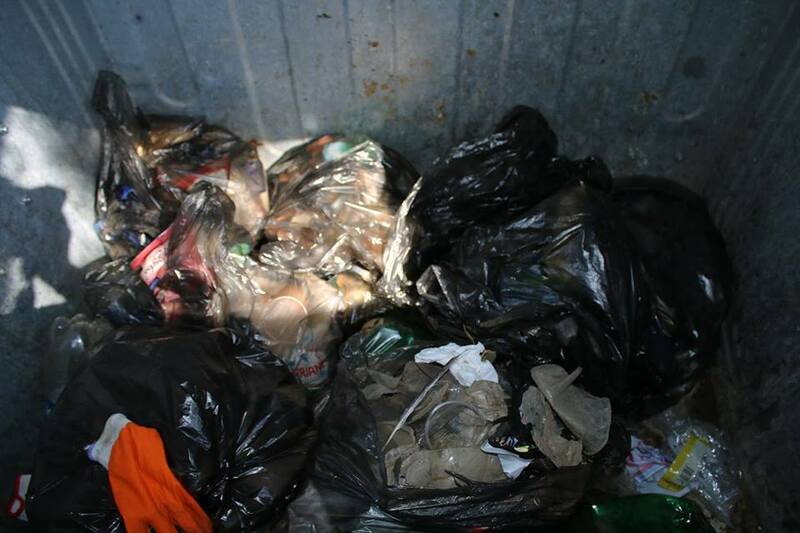 About 3ha area has been cleaned up and around 2 m3 of waste was collected. Event has been attended by 250 volunteers. On September 15, "Clean up the World" campaign was celebrated with large-scale cleanup actions in Zestafoni municipality,organized by the local coordinator of the Greens Movement of Georgia / Friends of the Earth – Georgia and with support of local government. During the action was cleaned up Kvaliti settlement . Totally, 2ha area was cleaned up and 3m3 of waste was collected . Apart from organizers, the event was attended by 80 volunteers, among them representatives of Gamgeoba, Council and Sports School teachers and youth. On September 15, within the framework of "Clean up the World" campaign was carried out cleanup action in Samtredia municipality,organized by the local coordinator of the Greens Movement of Georgia / Friends of the Earth – Georgia and with support of local government. In the action took part representatives of Gamgeoba and local residents. During the action were cleaned up railway station surrounding area, Paolo Iashvili Square, Olympians square, environs of History Museum and village Tskhomareti area , totaling up to 5 hectares, around 20 m3 of waste was collected, with participation of 500 people. 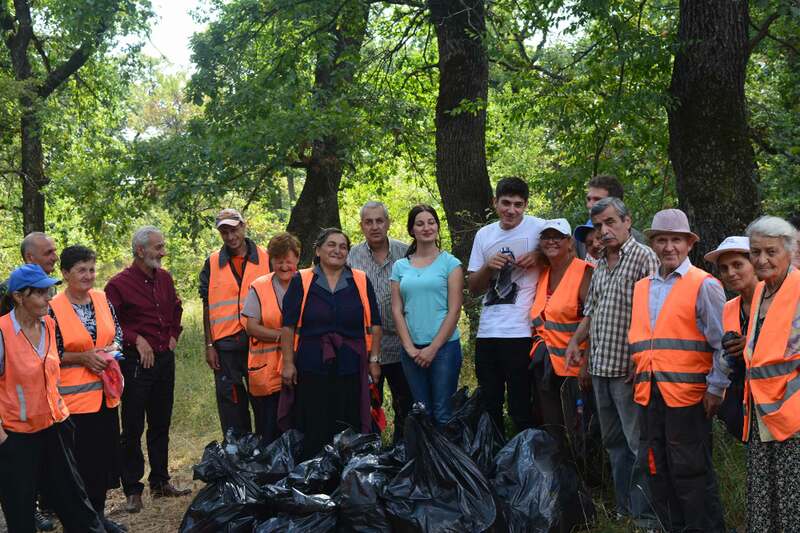 On September 15 , within the framework of "Clean up the World" campaign was carried out cleanup action in Chiatura municipality,organized by the local coordinator of the Greens Movement of Georgia / Friends of the Earth – Georgia and with support of local government. In the action took part representatives of Gamgeoba and local residents. During the actions were cleaned up the central districts and streets of Chiatura. Totally, 250 people took part in the action, during which 5 m3 of waste was collected and 5 ha area has been cleaned up. 2017-09-18 On September 15, "Clean up the World" campaign was celebrated with large-scale cleanup actions in Zestafoni municipality,organized by the local coordinator of the Greens Movement of Georgia / Friends of the Earth – Georgia and with support of local government. During the action was cleaned up Kvaliti settlement . Totally, 2ha area was cleaned up and 3m3 of waste was collected . Apart from organizers, the event was attended by 80 volunteers, among them representatives of Gamgeoba, Council and Sports School teachers and youth. The Campaign "Clean up the World" was organized within the framework of the project - "Clean Up Georgia" (Phase III), implemented by NGO Consortium - " The Greens Movement of Georgia / Friends of the Earth Georgia", Georgian Society of Nature Explorers “Orchis, “Ecological Awareness and Waste Management”, with financial support of the Government of Sweden and in collaboration with the Ministry of Environment and Natural Resources Protection of Georgia. On September 17, in the framework of "Clean up the World" campaign was carried out clean up action in Kutaisi ,organized by the local coordinator of the Greens Movement of Georgia / Friends of the Earth – Georgia, with support of local government. On September 15, "Clean up the World" campaign was celebrated with large-scale cleanup actions in Vani municipality,organized by the local coordinator of the Greens Movement of Georgia / Friends of the Earth – Georgia and with support of local government. During the action were cleaned up Givi Kipiani Park and highway roadsides. Totally, 3ha area was cleaned up and 7m3 of waste was collected . The event was attended by 250 volunteers. On September 15 and 19, within the framework of "Clean up the World" campaign was carried out cleanup action in Samtredia municipality,organized by the local coordinator of the Greens Movement of Georgia / Friends of the Earth – Georgia and with support of local government. 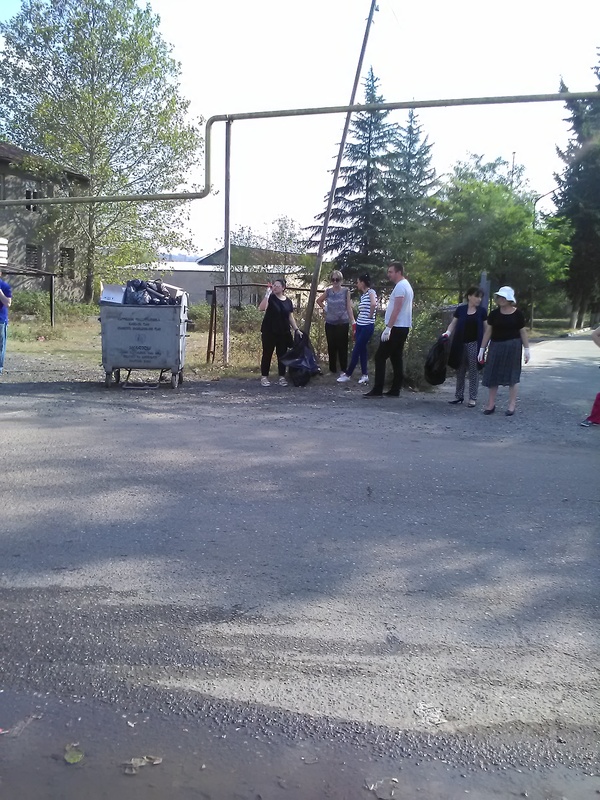 During the actions were cleaned up Didgori, Paliashvili, Kostava, Lasha Tevzadze streets, courtyards of schools and kindergartens, dendrological park and village Khunjulauri areas. In addittion, with participation of Didi Jikhaishi pupils and youth representatives were cleaned up roadsides of 5km section of Ianeti -Khoni motorway. Totally, 340 people took part in the action, during which 10 m3 of waste was collected and 5 ha area has been cleaned up. On September 15, "Clean up the World" campaign was celebrated with large-scale cleanup actions in Tsalka municipality, organized by the local coordinator of the Greens Movement of Georgia / Friends of the Earth – Georgia and with support of local government. 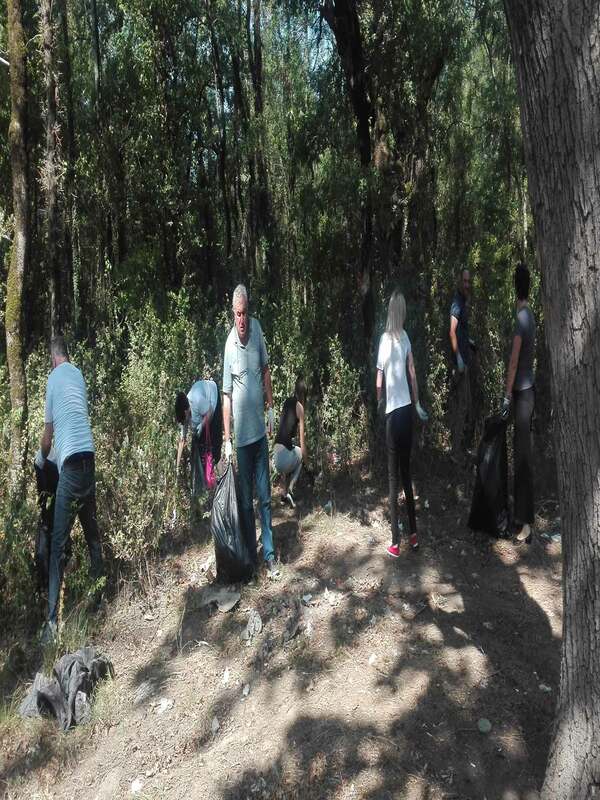 On September 15 in the framework of "Clean up the World" campaign a cleanup action was carried out in Marneuli municipality,organized by the local coordinator of the Greens Movement of Georgia / Friends of the Earth – Georgia. On September 15, "Clean up the World" campaign was celebrated with large-scale cleanup actions in Bolnisi municipality,organized by the local coordinator of the Greens Movement of Georgia / Friends of the Earth – Georgia. During the action were cleaned up lakePantiani surrounding area and Sasroleti territory. Totally, 7ha area was cleaned up and 4.5m3 of waste was collected . The event was attended by 250 volunteers. On September 15-17, 2017 took place annual international Clean – up campaign –“ Clean Up the World.The campaign is traditionally held on the third week of September each year and today brings together more than 140 countries around the world. As part of the campaign the Global Environmental Map was created, where all countries are marked, that acceded the campaign. Georgia has joined the “ Clean Up the World” campaign in 2010 and became 121st country placed on global environmental map. On September 15, "Clean up the World" campaign was celebrated with large-scale cleanup actions in Tetritskaro municipality,organized by the local coordinator of the Greens Movement of Georgia / Friends of the Earth – Georgia and with support of local government. In the action took part Tetritskaro youth representatives , employees of "Tetritskaro Cleaning and Improvement Service " and representatives of Gamgeoba of Tetritskaro municipality. Totally, 1500m2 area was cleaned up and 4m3 of waste was collected . Apart from organizers, the event was attended by 60 volunteers. 2017-09-16 The second day of the campaign "Clean Up the World"
The second day of wide range "Clean Up the World" campaign is underway in Tbilisi. The campaign was founded in 1992 by the initiative of the United Nations Environment Program (UNEP) and is celebrated in the third week of September in many countries around the world. . Georgia was involved in „Clean Up the World “ campaign in 2010 and since then is implementing nationwide clean-up activities within the framework of the project "Clean Up Georgia Phase III". This year, during the second day of "Clean Up the World“ campaign was cleaned up Lisi lake neighboring area . During the event about 1,5 hectares of the area were cleaned up and around 10 m3 of waste was collected. Approximately 50 people took part in the action.